When you take care of your mouth, it takes care of you. Ever since you were a child, you’ve been told how important oral hygiene is. Brushing your teeth, flossing, and going to the dentist accomplish more than just preventing cavities; they could save you from developing mouth or throat cancer, too. And if that doesn’t get you to take a little more care of your teeth, I’m unsure what will. According to the Oral Cancer Foundation estimates, there will be over 43,000 new oral cancer diagnoses this year. They report cases have been on the rise for the past five years, and numbers seem to increase at a steady percentage. In 2007, there was an 11% jump in cases, so it’s definitely of growing concern. Smoking and alcohol have long been associated with mouth and throat cancers, but oral hygiene appears to have a big impact, too, according to a new study. 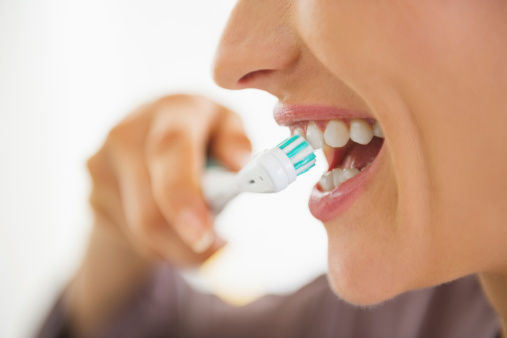 Researchers from Germany and Scotland followed the oral hygiene habits of 1,962 cancer patients and 1,993 control subjects across nine European countries and discovered how people take care of their mouth plays a role in cancer formation. People with poor oral health were defined as those who had complete or part dentures, or had persistently bleeding gums. These people are likely to assume that dentures mean they don’t need to go to the dentist as frequently, when in fact the opposite is true. They should be going for regular check ups to make sure their mouths aren’t becoming infected. Bleeding gums signify plaque and tartar buildup, which can get inside your body, causing infection. Furthermore, people with poor dental care were classified as those who rarely or never brushed their teeth or visited a dentist. These people allow bacteria to fester in their mouth, wearing away at the roots of their teeth and allowing bacteria into their bloodstream through their mouths. People with poor oral health and dental care are at a greater risk for contracting mouth and throat cancer. Practicing good oral hygiene is important regardless of how many teeth you have. Make sure to thoroughly brush and floss daily. Brush at least twice and floss at least once, while visiting your dentist at least once per year. These simple practices can save you from getting cancer. Lastly, there have been a number of media reports surfacing recently about the effect of mouthwash on throat cancer. There is still more research needed, but it’s recommended you use mouthwash sparingly, no more than a couple times per day. If you’re brushing and flossing regularly, you don’t really need it. The Oral Cancer Foundation web site, 2014; http://oralcancerfoundation.org/, last accessed April 9, 2014. “Study Identifies ‘New Risks’ For Mouth and Throat Cancers,” BBC News web site, April 3, 2014; http://www.bbc.com/news/uk-scotland-glasgow-west-26875793, last accessed April 9, 2014. “Fish Oil,” National Institutes of Health web site, September 4, 2013; http://www.nlm.nih.gov/medlineplus/druginfo/natural/993.html, last accessed April 3, 2014.